We have marked a distinct position in the market by providing excellent quality Soft Gelatin Plant. This machine is precisely manufactured using supreme class components and sophisticated technology in compliance with set industry standards. The offered machine is used in diverse industries like pharmaceutical, food processing, chemical, cosmetic, etc. This machine is available in different technical specifications as per the needs of clients. 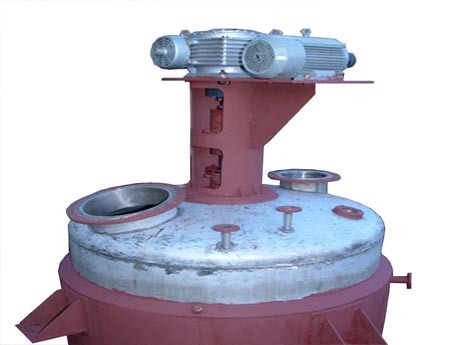 • Agitator of Gelatin Cooker is a special kind of Anchor for imparting low shear mixing action for intimate mixing. • Tank is fitted with Water filled Jacket that is heated to pre-set temperature by electric heaters mounted in the base of the tank. • Maximum temperature: 90 ~ 100?? ?